Below we’ve outlined a few of the most popular self-guided trips you may want to try. Each lets you discover famous Alaska sights. For more ideas, consult the Milepost – or call us. We’ll be happy to suggest the perfect Alaskan vacation for you. This is one of the most amazing road trips in North America. The entire adventure from Anchorage north to Fairbanks (358 miles/576km) takes you through some of the most beautiful scenery you have ever seen. Visit the unique Musk Ox farm and the fertile farms of the Matanuska Valley where world record size produce is grown every year. Enjoy fishing wild rivers and lakes. Thrill to spectacular views of Mt. 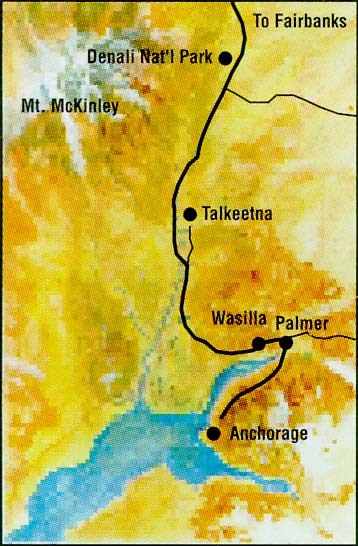 McKinley and the massive Alaska Range. Be sure to stop in Talkeetna and take a flightseeing tour with K2 Aviation which you can book direct with Great Alaskan Holidays. This is the absolute best way to experience North Amierica’s tallest peak, Mt. McKinley. Spend some time at Denali National Park sightseeing, rafting and photographing Alaska’s famous wildlife. Then on to the jewel of the interior Fairbanks (see trip 4 below). Point your motorhome south from Anchorage and discover days of fun and unparalleled adventure. The scenery along Alaska’s Seward Highway is breathtaking. That’s why it has been designated a National Forest Scenic Byway. You’ll travel along the beautiful shores of Turnagain Arm where Dall sheep watch the traffic and Beluga whales chase a dinner of fresh salmon. Stops along the way include our world famous ski area Alyeska Resort and Portage Glacier. Continue on to Seward where the Alaska Sea Life Center and the Kenai Fjords National Park are waiting to entertain. The best way to experience Kenai Fjords National Park is to to take a Major Marine Tour which you can book directly with Great Alaskan Holidays. On your return, take the Sterling Highway to explore ice-blue Kenai Lake and the world-famous Kenai River. 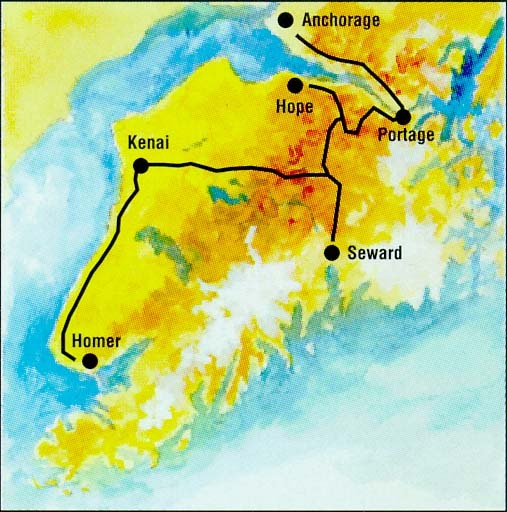 Continue through the communities of Kenai and Soldotna to the “end of the road,” and explore for artistic treasures in the quaint town of Homer, known for its hospitality and picturesque beauty. When you leave Anchorage on this adventure you drive through the rich farmlands of the Matanuska Valley where you can visit the Musk Ox farm, explore an old mining camp, or play a round of golf. 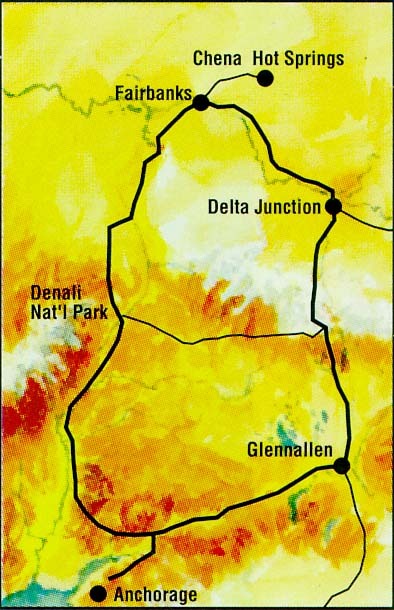 Then, journey on past immense glaciers to the town of Glennallen where you head south on the Richardson Highway. This scenic route travels through the wilderness of the Wrangell mountains. At Copper Center you can fish for the renowned Copper River salmon. 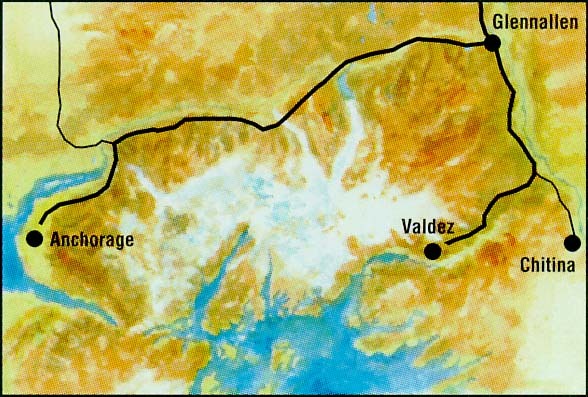 The port town of Valdez puts the entire Prince William Sound at your disposal. Take a flightseeing adventure, fish for salmon and halibut, or hop aboard the Alaska State Ferry to explore nearby Cordova. Fairbanks is Alaska’s second largest city but many people consider it the first destination for adventure. Located in the heart of our great interior, Fairbanks is a summer wonderland of long, warm days and endless adventures. Hop aboard the Riverboat Discovery for an unforgettable cruise down the Chena and Tanana rivers on Alaska’s only operating sternwheeler. Take a dip in the famous waters of Chena Hot Springs. Visit Pioneer Park to see how we lived a century ago. Explore historic gold mines and try your luck at gold panning. Visit the University of Alaska Museum for an informative trip through enchanting cultural and natural history exhibits. See the famous Trans Alaska Pipeline, photograph the wildlife and try your luck against our famous sport fish. Relive the days of the Klondike Gold Rush exploring the towns of Haines and Skagway. 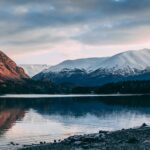 You’ll travel through remarkable scenic beauty on your way to the historic town of Haines, the doorway to a dramatic world of Native culture, gold rush history, outdoor adventures and entertaining activities. Attractions include the world famous Chilkat Dancers, museums and cultural exhibits. Then, board the Alaska State Ferry to Skagway where much of the downtown area is part of the Klondike Gold Rush National Historical Park . Visit museums, take a walk along the Klondike Trail, and ride the White Pass and Yukon railroad for a one-of-a-kind trip back in time. Your Great Alaskan Holiday is not limited to Alaska. Take time to explore the Yukon. Our Canadian neighbor shares the adventurous history of the Gold Rush and the beauty of the Northland. 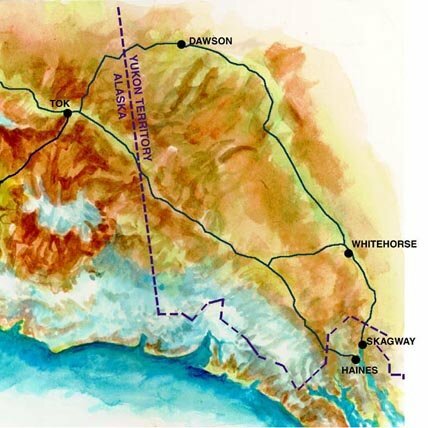 The spirit and heritage of the Gold Rush is kept alive in both Dawson and Whitehorse. Spend the evening enjoying turn-of-the-century floor shows. Cruise the Yukon River. Put your gambling skills to the test. Relive the chilling tales of Robert Service and Jack London. Pan for gold and marvel at the midnight sun. And, take in the incredible natural beauty of these historic cities.